Scene 1: "All of a sudden, My Samsung Note 4 just slipped from bed. Now its screen is smashed and I can't access to the downloaded files, pictures, videos, music, etc. stored on it. Is it possible for me to get data back from Samsung Note 4 with broken screen? " Scene 2: "Fortunately, the screen of my Google Nexus 10 wasn't broken after plummeting toward the ground but a USB connection error occurred: the tablet can't be recognized when I connect it to PC. Then how can I transfer downloaded or received files from broken Nexus 10 to PC?" Indeed, broken screen or connection mouth is the first killer to Android devices as it either causes losing touch functionality and made them unresponsive or fails to export Android data to PC. Hence, to learn how to recover data from broken Android phone/tablet through the following 2 parts is of great use. Tips: If your Android device can't connect to PC through USB cable, please skip to Part 2 directly. Generally, Android device that gets bricked/water-damaged or broken screen either shows blank or displays contacts, pictures, messages and other files from Android phone or tablet in a vague way. In other words, you can't access them unless recovering broken Android data to PC with Broken Data Recovery Software. It's a professional data recovery tool that recovers photos, text messages, contacts, notes, etc. from ALL reasons resulting in broken Android devices, which includes broken screen, get bricked /water-damaged and more. And the following tutorial takes how to recover data from broken screen Android devices for example. Step 1: Download the software to PC (Windows 10/8.1/8/7/Vista/XP supported) via the download button above and launch it afterwards. Step 2: Connect your Android phone or tablet with cracked screen to PC via USB cable and follow the software's prompts to turn on USB storage and enable USB debugging respectively. Step 3: Then tap "Allow" on your device, click "Next" to select specific files types you want to retrieve from broken Android devices and click "Next" to start scanning. 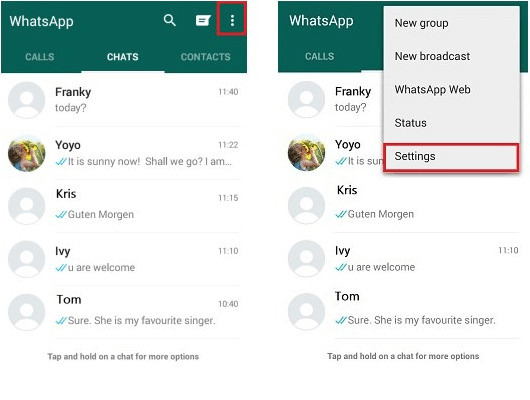 Step 4: After scanning, the whole images, contacts, messages and more saved on your broken device will be displayed by category as the picture below. Choose your desired files you want to get back and click "Recover". After these 4 steps, you can easily get data off Android device with smashed screen; recover data from bricked Android phone and other situations that lead to broken Android device. Powerful as Broken Tenorshare Android Data Recovery Software is, what if your broken device suffers from connection problem just as Scene 2 rather than broken screen? Don't worry! You can turn to its Pro version: Broken Data Recovery Pro Software, which enables you to transfer contacts, photos, messages, videos and other files between Android device and PC via Wi-Fi rather than USB connection. See how it works below and learn how to get data back from Android device with broken connection slot. Step 1: Download the Pro version to PC first and run it immediately after installation. Step 2: Then download Tenorshare Android Data Recovery app to your Android devices from Google Play and tap "Scan QR code to Connect" to scan the QR code on the software's primary interface. Step 3: After Wi-Fi connection, tap "Allow" on your device and click "Next" to proceed. In a while, the software would display all data on your device. Select those you want to get back to local PC and click "Recover". 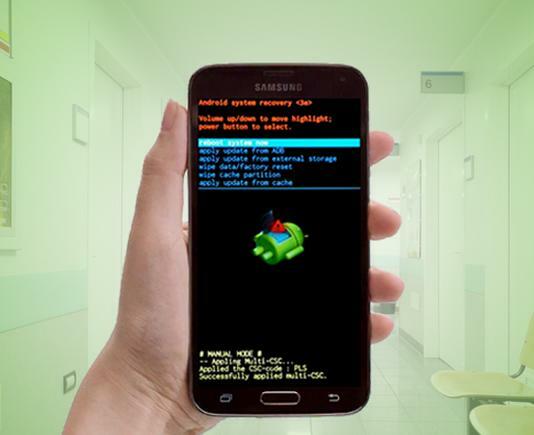 With Broken Data Recovery Pro Software, you can breezily fix connection problem of Android device on Windows PC. If your computer runs on Mac OS X, you can go for its Mac version: Broken Data Recovery Pro Mac. To sum up, whatever reason causes broken Android device, you can easily retrieve contacts, pictures, text messages, videos and more with Broken Data Recovery Software. Moreover, it also supports recovering Android data after rooting.